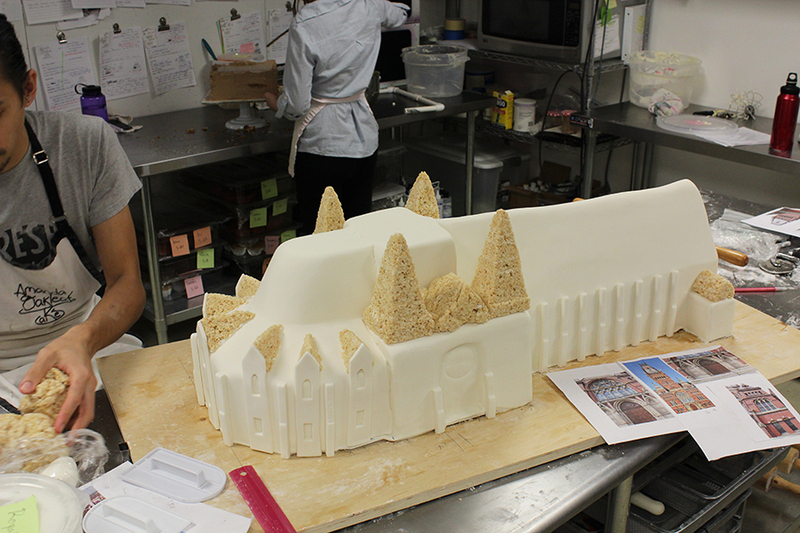 Last week we made one of our most detailed cakes ever. We wanted to share a couple photos of our process. 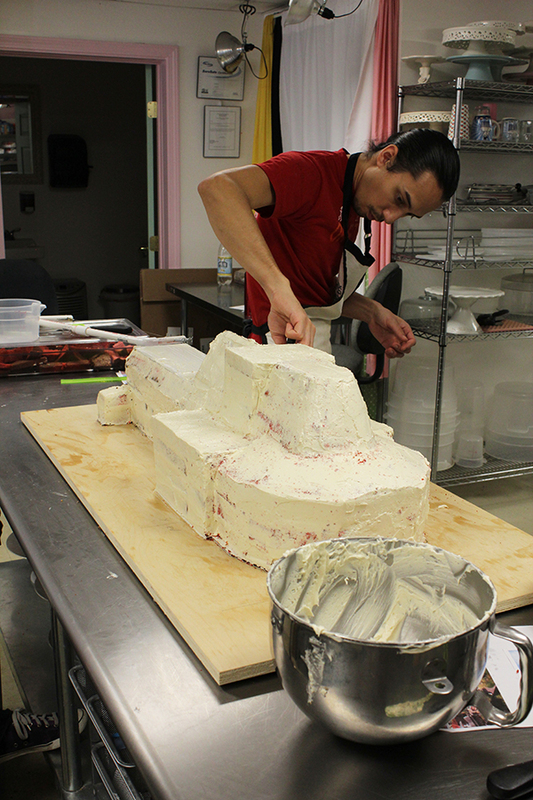 Three different flavors made up the entire 200 servings of this cake. 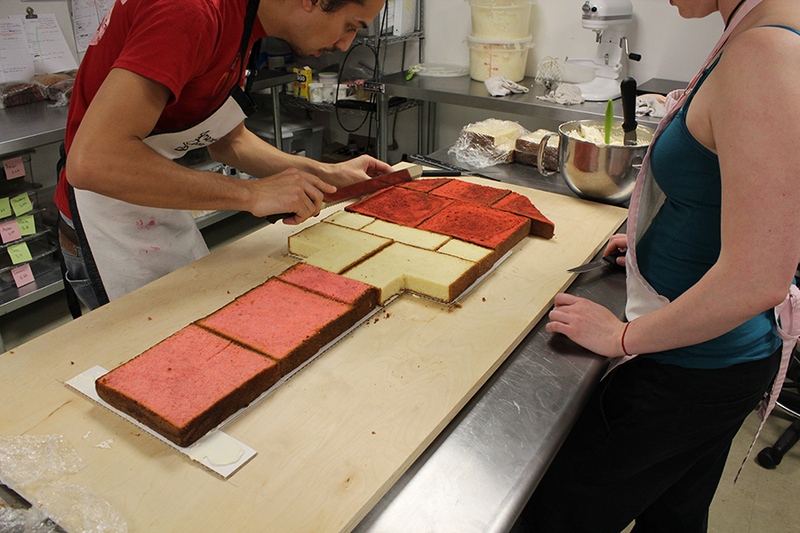 After fondanting, detail is starting to go on with some help from krispie treats. 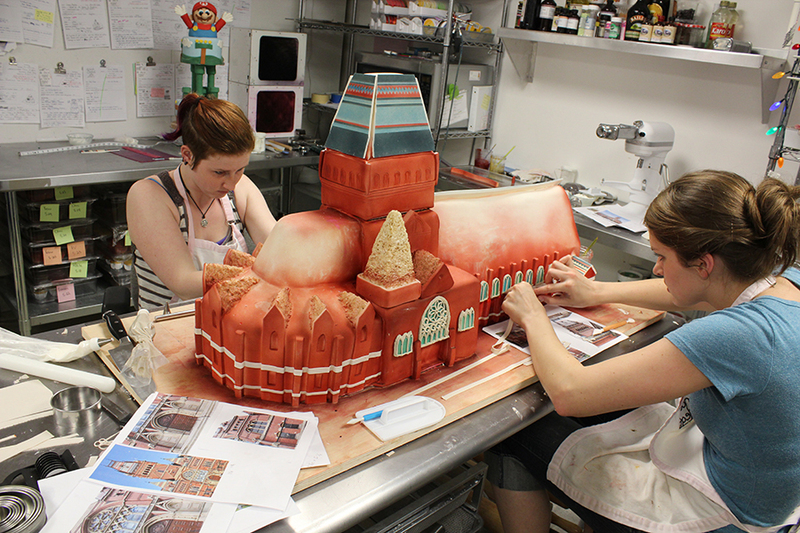 Cake has now been airbrushed and it’s time for ALL the detailing. 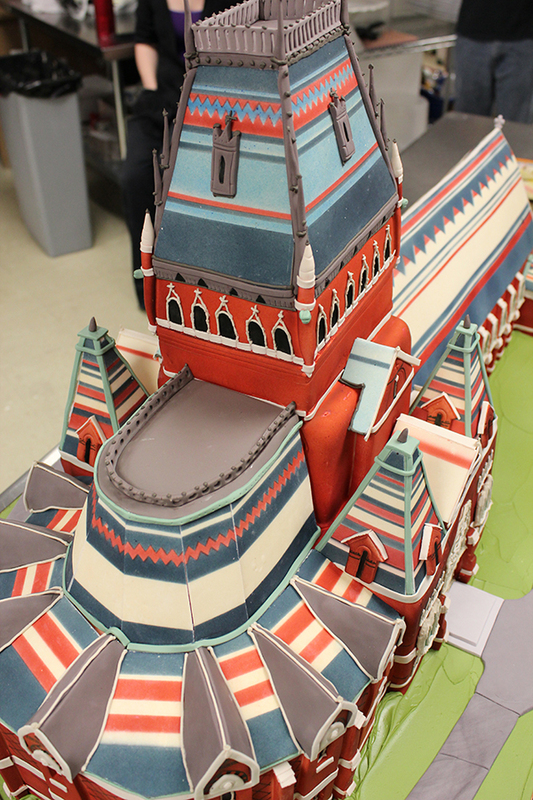 All these beautiful roof tiles were meticulously planned, stenciled, and airbrushed by Tim, aka Captin Roof. 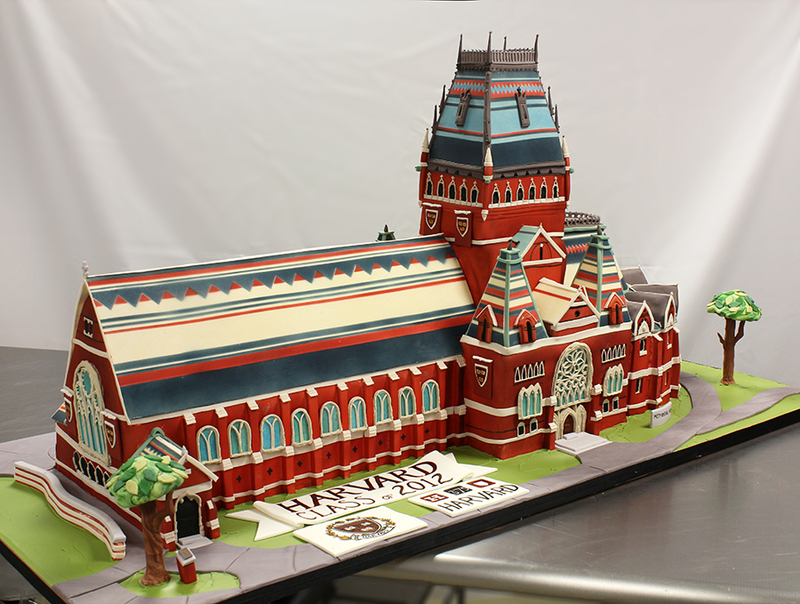 A completely edible Harvard Memorial Hall Cake. WOW, that is awesome, never seen anything like this before, you are very talented. Great job, guys! I had a chance to try it last week at your client’s graduation party. It was delicious!!! 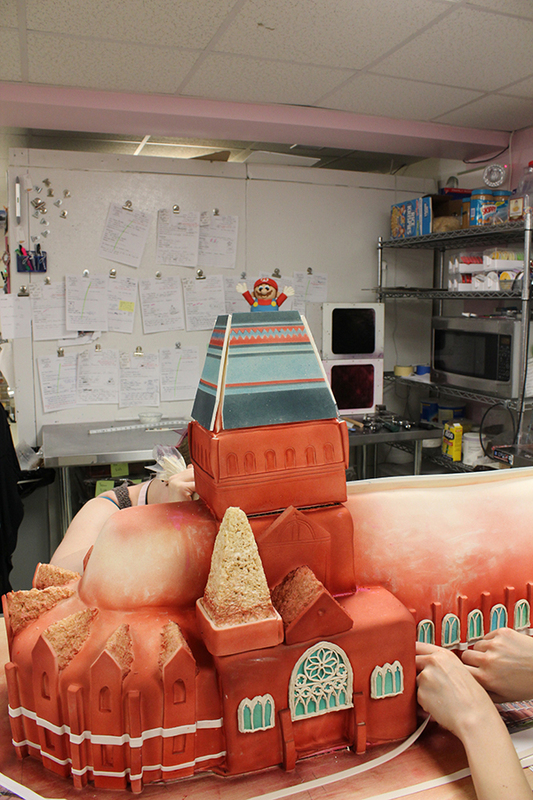 This is an amazing cake. 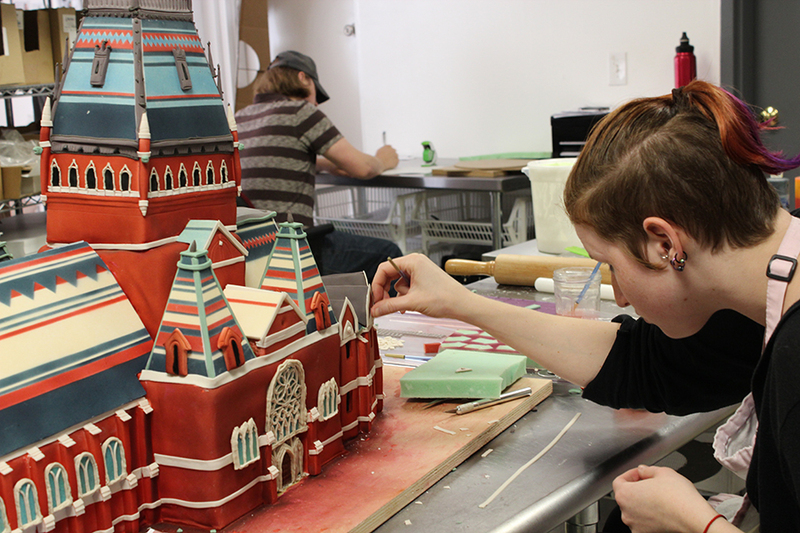 Your attention to detail is truly exceptional! 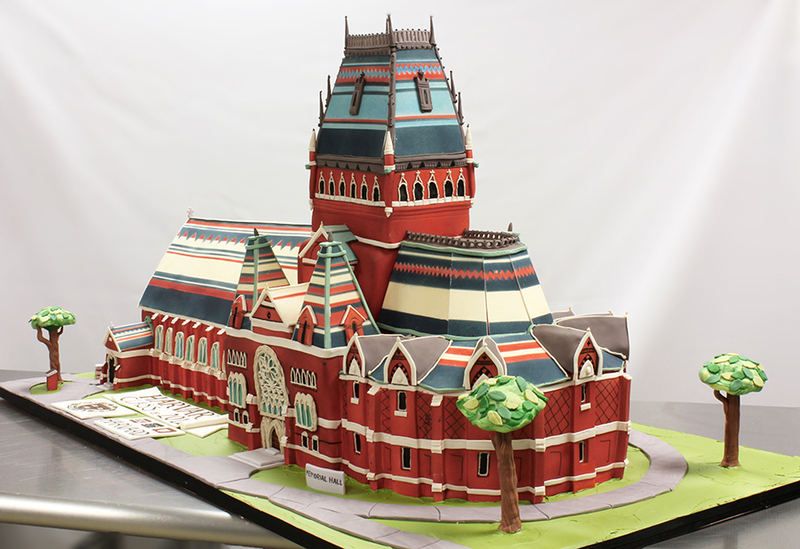 Great job for you and your team, another perfect cake! This is amazing, beautiful detail work. You all have such patience and skill. I am curious what a cake like this would cost. Well, that was my graduation cake and I loved it!! Now the question is, how can I get something even better for my 2014 Harvard graduation?